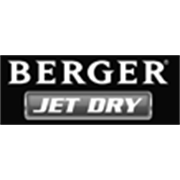 Berger Jet Dry Active Etch is an essential product to use prior to painting bare concrete surfaces. It roughens the concrete surface for optimum adhesion. 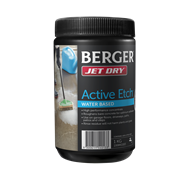 Low odour and a safer alternative to hydrochloric acid etches, it is ideal for use on garage floors, driveways, paths, patios and steps.